I almost lost my calmness reading through an article authored by one Mr. Elias Ozikpu, who rudely scolded the entire Nigerian Army (NA) on account of what he perceived as misconduct by some soldiers. My anger was first triggered by the title of the article itself-“Bonny Cantonment: Where Some Of Buratai’s Mad Men Reside.” It generously impugned the dignity and office of the Chief of Army Staff (COAS) Lt.Gen. Tukur Yusufu Buratai , his officers and soldiers. First, the writer strikes like a debauch, with a passion for artificialized titles in identifying himself. He calls himself “a literary author and an activist.” Only Elias Ozikpu knows what “literary author” means. Activism is a word any Nigerian, dubiously ascribes to himself to curry undeserved public attention. But I judged his diatribes and denigration of soldiers from the plank of his moral deficiency and decided to adopt the title above in my reply to him. Its little surprise Nigeria has remained tied to the tethers of retrogression, if supposed intellectuals (he claimed so) are this much untutored. That is the mess of our country Nigeria today. Ask Ozikpu, he will gladly tell you no soldier ought to be seen outside of the barracks or shadows of their uniforms sighted on streets. Once out, soldiers should head straight for the battlefield and remain in trenches. It’s true. But soldiers are everywhere because of characters like him, who have injected criminality into the system in multiple ways. It explains why soldiers are pulled out of the barracks to become sentinels of streets in Nigeria. No conventional author who knows his self-worth would address himself as “Literary author.” It’s part of the dubiousness. Let me cite an example from the retinue of cases he amplified in the write-up, which affected him directly. I presume the other cases are reported from a third party narrative and vulnerable to distortions. He postures like a man, sitting over his own judgment. He wrote about the anger and near assault a soldier confronted them after they horned for him to clear off the road. I know some road users are devoid of basic traffic rules and regulations. From the tenor of his write-up, it appears he has a disdain for men in uniform. He probably frightened the soldier with his horn rather than decently horning from a respectable distance to alert a strayed figure on the road. Ozikpo failed to intimate his readers of how close he was before horning. Some drivers are neck-deep into the habit of frightening other road users. Such tendency offends everybody. You must not be a soldier before you get infuriated at such road-use misconduct. And the guess may not be far from it because he admitted stopping. Why did he stop to exchange words with the soldier, if there was no preconceived intention to offend him? It’s the familiar arrogance of some Nigerians, especially people who claim to be writers of whatever hue like Ozikpu because they are civilians. Are soldiers, first of all not civilians before becoming professional soldiers or men in camouflage as he derogatively referred to them? Many Nigerians are still in the dark about the changed face of their country. The COAS, Lt.Gen. Buratai has devoted his time and energy to bequeath to Nigerians the finest breed of soldiers. I do not expect that army formations should be temples of worship or monasteries where everyone is holy and pious. But Buratai has ensured no unprofessional misconduct by his officers pass without the appropriate reprimand. And before now, Buratai ordered the arrest and discipline of the two soldiers who maltreated a cripple in Onitsha, in accordance with military disciplinary laws. How else can a leader be responsive to be appreciated by people like the writer? Most times, criminally-minded civilians stoke the trouble with soldiers to create an excuse to chastise the army and its leadership. For instance, just last Saturday in the same Lagos, a military officer, Lt Gyang of 149 Battalion in mufti was on veiled security surveillance with six other soldiers behind Alakija. He was unarmed, but the soldiers in his company were armed. And alas, suspected militants in the area opened fire on them without any provocation and the soldiers replied. No casualty was recorded, but the officer was reportedly abducted by these suspected militants and no shadow of him is traced till now. In Abuja yesterday, an officer and two soldiers of Army Headquarters (AHQ) Garrison who were back-loading a broken-down Armored Personnel Carrier (APC) had a misunderstanding with civilians in the Gwagwalada area. It attracted a heavy mob and people uttered all manner of abuses and obscenities on soldiers. Had the soldiers vented their spleen, these Nigerians would have forgotten about their unruly confrontation of soldiers and dangled the sympathy card of armed soldiers against civilians. The perpetual drunken civilian “officer” beaten in Aba for wearing military uniform did it deliberately to provoke soldiers. But in spite of the fact that criminals, who impersonate the army, also wear army uniforms, the NA similarly disciplined the soldiers. 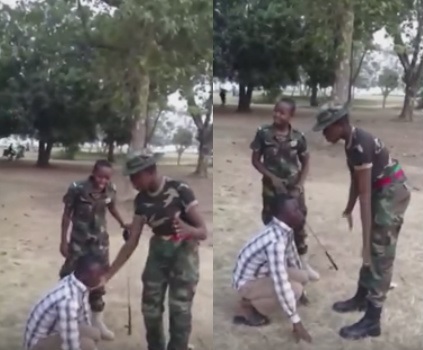 Nigerians must not forget that soldiers are also human beings. They have blood running through their veins. They have emotions and can feel pains. They have families, children, brothers and sisters as well as dependents. They have friends. They can love and be loved. So, what is good for the Jews is also good for the Gentiles. Nigeria is not the only country with soldiers and there is no need to make our own soldiers endangered species. Lt. General Buratai has established the Human Rights Desk at the AHQ, commands and units to handle cases of human rights violations on soldiers and no soldier, so far has been spared of punishment for any wrong committed. And it goes to say, families of soldiers are also waiting to be appeased when civilians who unjustifiably open fire on soldiers and kill them will be punished. It has always been the burden of soldiers like it happened in Niger state, when local militias opened fire and killed soldiers on routine surveillance. If not because some Nigerians are peculiarly different human beings, elsewhere, citizens would fete Nigerian soldiers, anywhere they are sighted for defeating Boko Haram terrorism and offering them peace. These are indeed hard times for our military especially the Nigerian soldiers who get punished, for any mistake, but no one is ever punished for wrongs done to them, on the casual misconception that their uniforms ought to absorb all pains in national interest. It’s wrong and precisely, the insanity in sanity! Okanga, a traditional warrior writes from Agila, Benue State. A civil rights activist and public attorney, Ugochukwu Osuagwu has threatened to drag an online publisher, Premium Times before a court of law over false reports emanating from its website targeted and diminishing the image and institution of the Nigerian Army. Osuagwu said in its publication of December 12, 2016, Premium Times had alleged that the Chief of Army Staff, Lt. Gen TY Buratai is to appear before the Code of Conduct Bereau (CCB) over false asset declaration. But the legal practitioner according to a press release made available yesterday to our correspondent, declared the report as false. He described as "disgusting how low some people are ready to fall just to distract the Army from its war on Boko Haram"
According to him, the story which failed to take into cognizance an earlier clearance given by the CCB which saluted General Buratai and many other Nigerians who had followed the due process of law smacks of mischief, malicious intent and deliberate attempt to twist the truth in other to destroy the reputation of the Chief of Army Staff and the institution which he represents. He said after reading the Premium Times story, he made personal efforts to verify the claims by the online medium from the CCB. 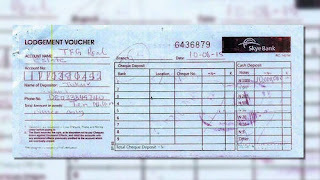 He said, "I have reached out to the CCB and they have denied sending any such reply letter to CSNAC or PREMIUMTIMES. 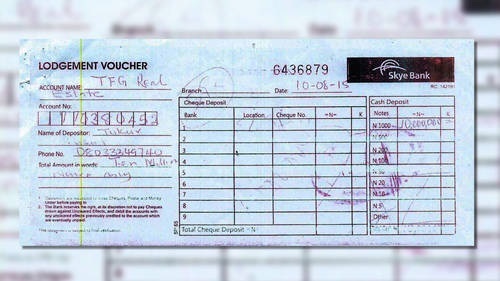 The CCB categorically said the publication is false and any such letter being paraded must be a forgery." Osuagwu said he remains a firm believer in the freedom of expression as encapsulated in the International Covenant on Civil and Political Rights (ICCPR), the Universal Declaration on Human Rights and other international protocols which Nigeria is a signatory to for the flourishing of democracy but would not succumb to abuse of Article 19(3)a of the same convention by some publishers who go out to promote their selfish objectives at the detriment of the overall good of society, reputation of others, national security and public order," he also added. As a Nigerian and having lived in my country since birth, I have come to appreciate more of disbelieving the promises of our politicians, especially during partisan campaigns. 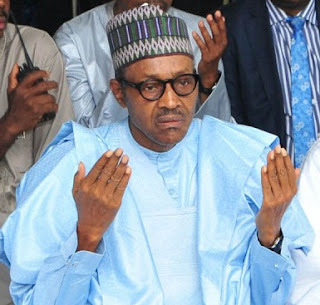 Though, President Muhammedu Buhari (PMB) is a leader with a reputation for strong integrity and honesty, but I still doubted his campaign promise to end Boko Haram insurgency if elected President of Nigeria in 2015. And when he re-organized the top hierarchy in the Nigerian military and Gen. TY Buratai was appointed Chief of Army Staff (COAS), he didn’t excite me too. When Buratai promised Nigerians to end Boko Haram terrorism in Nigeria by December 2015, I was infuriated the more. I suspected he is toeing their usual path of public deceit. But I have been pleasantly proved wrong in 2016. After a trip to the Northeastern state of Yobe recently, the first in nearly two years, after I hurriedly left the place December 2014, because of the fear of terrorists, I sat down in my derelict one-room apartment in Kaduna in meditative mood. I didn’t know whether to shed tears of joy or mourn for the images of departed friends and associates which flooded my mind. I was trapped in this two worlds because the relics of the dead were victims of terrorism. That was when the sect raged and raged like mad dogs. They went berserk, bombed and killed recklessly. I lost many beloved ones. (May their souls rest in peace). But I was consoled because peace is here at last. I nearly shed tears of joy at the return of life and normalcy to Damaturu, a place once held in captivity by the terrorists. It was the second hotbed of terrorists’ attacks in the Northeast, after Borno state. In my short stint in Damaturu, we had experienced the invasion of scores of schools in Yobe state by these agents of the devil. In the fury of the wild beasts, they would violently invade schools in different parts of the state, burn schools, buildings and either kill or maim innocent students and teachers in droves. I can still remember vividly the incident in September 2013 and the anguish of parents keeps playing back to me graphically. The incident widely referred to as the Gujba college massacre saw gunmen of the once dreaded Boko Haram sect invaded a secondary school where they reportedly killed over 50 students and teachers. But I was particularly touched with the February 2014 incident at Federal Government College, Buni Yadi, where the terrorists invaded a boarding school in the dead of the night and freely murdered over 59 students and staff in cold blood. The rampaging beats burnt down students’ hostels and classrooms. The terrorists also audaciously extended their anger to the host community and razed countless houses including the local government council’s secretariat complex, a high court premises, government/private establishments and telecommunications masts. What cruelty! I cannot forget the incident because one of the affected students was the son of one of my neighbours, whom we simply called “Baba,” elderly, but very receptive and friendly man. He heard the news of terrorists' attack on the school of his son, but since he was too old, coupled with the tension that gripped him, Baba sent emissaries immediately, when phone calls to the place failed to click. The intensity of Boko Haram's attacks forced most private hospitals to shut down. The heavily guarded General Sani Abacha Specialists Hospital in Damaturu became the home of the injured and the dead. The hospital mortuary overflowed with corpses and the injured had no bed space. Doctors attended to patients in the open premises of the hospital. It was a soul-moving pathetic sight. Fear enveloped me, as the terrorist pushed closer to Damaturu, the state capital. I hail from Niger state and came to Damaturu on the invitation of my friend, Ahmed Jabuski. I was there in search of greener pastures after my Diploma course. I was doing temporary jobs, but earned enough to meet my basic needs and even saved a little. But after the Buni Yadi college massacre, I told my friend I was no longer confortable in Damaturu. My fears were exacerbated by the terrorists’ several, but repelled attempts to capture Government House Damaturu. The incidents convinced me very clearly that if terrorists could come this far in their exploits, nobody was safe. The state capital itself bore the insignia of a city under armed siege. There were security agents everywhere, roads closed or had several road blocks, markets provided skeletal services, banks were sealed; schools shortened their hours of operation. And sounds of guns took over the serenity of communality and social or night life ceased instantly. Grazing fields were empty and farmlands deserted much as most homes and communities. Back to my base in Niger state, I gave up hope about Damaturu and Yobe state. In my mind, I thought no miracle could rescue it from the hands of the monsters , except God’s special intervention. Even my friend Jabuski relocated to Jigawa shortly after I left. But he is now back. And I could not believe myself when I again visited Damaturu recently. I came back a few days ago. The city that lost its soul, humanity and serenity has bounced back with sounds of life and bubbling. Markets, schools, relaxation spots, roads, banks, hospitals and offices are back to life. There is free movement to anywhere, except beyond 10pm because of the partial curfew in the state capital. The presence of security agents is also minimal at least in the township. I asked and was told, no terrorist attack has taken place for nearly a year and the public phobia of violence has also vanished. Hospitality business is again flourishing. So, when I read in the news that Borno state governor, Kashim Shettima visited schools and other public offices and inspected some projects, I nodded my head that he has taken up the challenge of erasing the relics of the ruins. I could not but doff my heart to President Muhammadu Buhari , the Chief of Army Staff (COAS) Gen. TY Buratai, our indefatigable soldiers and all officers and men of the Nigerian military for this wonderful accomplishment of restoring peace to the once troubled Damaturu and Yobe state generally. Anyone who visits Damaturu now would hardly know this was a state capital in Nigeria, once assailed and almost overrun by evil men. May the Nigerian military keep it up and never mind persecution or blackmail, as the masses and the humanity they are serving is in deep appreciation of their sacrifices and efforts. May the lively sounds of lively days and nights in Yobe never cease again. Engr Idris writes from Damaturu, Yobe State. The Nigerian Army has over the years been saddled with numerous security challenges, but lately, one area that has recorded tremendous success is the fight against insurgency. Ever since the Chief of Army Staff Lt Gen Tukur Buratai assumed office on 16th July 2015, the battle against Boko Haram terrorists and all forms of insurgency in the country has gained momentum as the terrorists have been sent away from places that they had earlier staked as their territory. These victories are being recorded on a daily basis despite efforts by some individuals to sabotage the war. 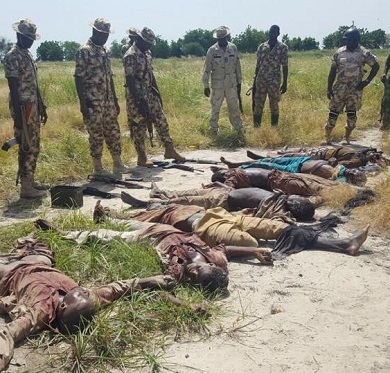 For instance, in the early hours of Sunday, October 30, the Nigerian Army troops of Operation LAFIYA DOLE deployed behind Bakassi IDP camp, Damboa road in Maiduguri, arrested two men suspected to be suicide bombers while they were attempting to detonate explosives at the Internally Displaced Persons camp. This came just a day after a suicide bomber attacked the same IDP camp while another attacked an NNPC depot on the same road, leading to the death of nine people. The first attack was said to have occurred at 7:00 am in front of a camp for displaced persons in the Bakassi area of Maiduguri metropolis and minutes later a second bomb went off at a bus stop. The unfortunate attack on Saturday caused a lot of commotion and casted aspersions on the image of the security forces especially the army and their efforts in the fight against the Boko Haram insurgency. This was what the people that planned the attacks wanted; to erode the confidence of the people in the army and undermine the success recorded so far. However, the army proved its mettle just 24 hours later when a vigilant sentry foiled another attack near the camp by gunning down another suicide bomber who intended to wreck more havoc at the camp. These attacks came on the heels of an announcement by the spokesman for the Defence Headquarters, Brigadier General Rabe Abubakar, who stated that Boko Haram terrorists have finally been destroyed. 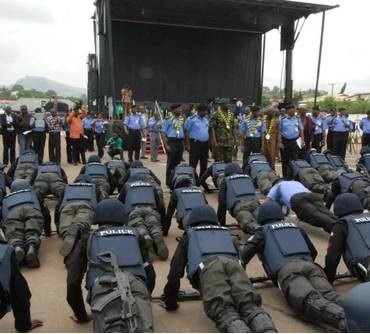 And indeed, Boko Haram terrorists have been brought to their knees. It is imperative to state that the recent attacks are mere efforts at causing distractions by some criminally minded people that want to undermine the success story of the Nigerian Army in the fight against Boko Haram insurgency. The Chief of Army Staff, Lt Gen Buratai has however refused to allow various machinations aimed at making him loose focus or have any effect on the war. Like a real commander, he does not stay at home while his troops go to the battle ground. He leads by example and leads his troops on the battlefield. This is one of the reasons that the Nigerian Army continues to record huge success in the fight against insurgency under his watch. The efforts of Gen Buratai in the fight against terrorism have not gone unnoticed as he has been given accolades for the successes recorded so far. The National Human Rights commission recently commended the Army under his watch for observing the rules of engagement and respecting human rights laws. The First lady, Hajiya Aisha Buhari also commended the Chief of Army Staff for what she described as chasing Boko Haram out of Nigeria and also commended the staff of 44 Nigerian Army Reference Hospital Kaduna for taking adequate care of wounded officers and soldiers. The Governor of Borno state, Kashim Shettima also recently applauded the Nigerian Army for the successes recorded in the fight against terror. In his words, ‘’Two years ago, we were under massive attacks from every angle. It was impossible for anyone to move out 10 km away from the state capital. Today, Boko Haram is no longer holding any of our territories. It is the efforts of good leadership in the Nigerian Army that brought this result’’. The Governor described those criticizing the Chief of Army Staff as Boko Haram members or their sympathizers. ‘’I think anyone criticizing Lt Gen Buratai is economical with the truth. It is either the persons are Boko Haram members or sympathizers. They want to distract him but we Borno people are surely behind him’’, Governor Shettima stated. 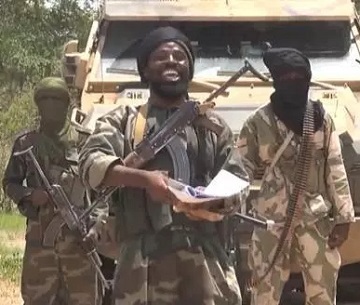 It is important to note that the Boko Haram terrorists have been degraded and chased out of the borders of Nigeria. The latest bombings being attributed to the terrorists are at best a desperate attempt by few terrorists sympathisers to keep the terrorists in the public psyche. Most likely therefore the attacks are facilitated by heartless criminals just to cause panic, unrest and confusion from which they benefit. However, these heartless elements regardless of their identity have failed as the troops have risen to the occasion and are ever ready to crush all wicked and misguided elements out to hurt citizens of Nigeria. Nwobi contributed this piece from Awka, Anambra State. Abubakar Shekau the leader of the extremist Boko Haram sect has in a new video threatened fresh but more vicious attacks on the Nigerian state even as he battles Abu Mussab Albarnawi the son of his erstwhile leader, Muhammed Yusuf, to retain the leadership and control of the outlawed group. 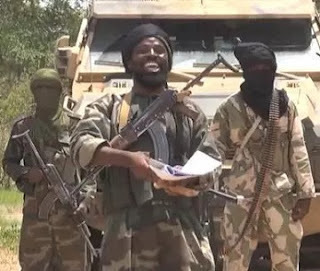 In the new video, Mr Shekau, who paraded a large number of his men and munitions, was quiet while one of his masked lieutenants read out a statement that reiterated their unflagging loyalty for to him while denouncing ISIS’ choice of Mr. Albarnawi as its West African ‘Wali’ (leader). The group expressed angst displeasure with Albagdadhi-led ISIS for recognising Mr. Albarnawi as the new leader of Boko Haram in West Africa. It however failed to withdraw its loyalty to Mr. Albagdadhi whom they repeatedly referred to as Khalifa (Supreme leader) – an indication that Boko Haram is still very much comfortable being under the stronger umbrella of ISIS. The veiled speaker speaking on the front row of men that were all armed with lethal weapons like anti aircraft rifles and rocket launchers among others, threatened that they would very soon attack the Presidential palace and bring down the Nigerian flag. But the army, however, described as “false and misleading” a report that Mr. Buratai, and his wives, jointly became owners of the properties following a certain “single” transaction. The army said the two Dubai properties had been officially declared when Mr. Buratai was appointed Nigeria’s top army officer. 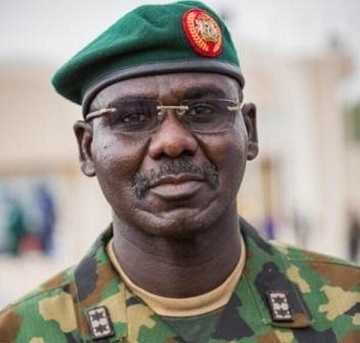 “It is a fact that the Buratai family have two properties in Dubai that were paid for instalmentally through personal savings three years ago,” the army said in a statement on Friday. “This, along with other personal assets have consistently been declared by General Buratai in his Assets Declaration Form as Commander Multinational Joint Task Force Commander and as Chief of Army Staff”. 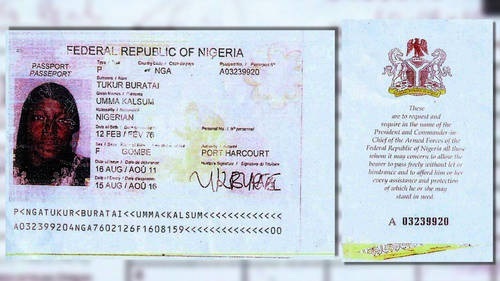 According to the statement issued by the acting director army public relations, Sani Usman, Mr. Buratai, has never owned any bank account with Skye Bank, as mentioned in the report, and neither was he ever involved in any contract scam. The army also denied Mr. Buratai had served as director of army procurement. Mr. Buratai served as director of procurement, defence headquarters, according to military records. 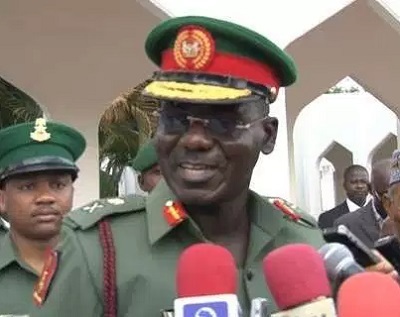 “The attention of the Nigerian Army has been drawn to another round of campaign of calumny against the Chief of Army Staff, Lieutenant General Tukur Yusufu Buratai and his family by some unscrupulous elements as contained in Sahara Reporters story titled “Revealed: Buhari’s Chief Of Army Staff, General Buratai, Wives Own Dubai Property”, alleging that Nigeria’s Chief of Army Staff (COAS), General Tukur Buratai, and his two wives are joint owners of a Dubai property that was paid for in one transaction posted on the website, this evening. “It is important to know that these baseless allegations were not new. In March this year, some groups of individuals under the aegis of “Concerned Citizens”, tried same smear campaign to their disappointment, it could not fly, because it is not true. “You will recall early this week, there was similar campaign of calumny by yet another online news medium, The Cable, in which among other things, it alleged that wounded in action Nigerian Army personnel were abandoned by the Army, government and the nation which is not true. “Therefore, the latest round of smear campaign by Sahara Reporters is one of the series of campaigns of calumny by these faceless individuals to malign the Chief of Army Staff and the Nigerian Army. Yet, typical of blackmailers and mischief makers despite failures, they did not give up, hence they now found a willing accomplice reputed for muckraking like the Sahara Reporters. The online news medium this evening uploaded another campaign of calumny allegedly based on a petition by obviously fake and non-existent group it described as “Concerned Soldiers and Officers from the North East”. “The allegations contained in the Sahara Reporters write up are baseless and not correct. 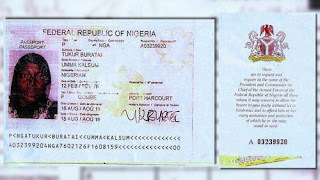 It is a fact that the Buratai family have two properties in Dubai that were paid for instalmentally through personal savings three years ago. This, along with other personal assets have consistently been declared by General Buratai in his Assets Declaration Form as Commander Multinational Joint Task Force Commander and as Chief of Army Staff. “It is pertinent to state that the Chief of Army Staff does not have any account with Skye Bank as alleged, let alone making deposits in the imaginary bank account to the tune of the amount stated in the write up. Similarly, he has not been involved in any form of shady or dishonest transaction, not to talk of “contract scam”. “In addition, General Buratai was never near either Defence Headquarters or Army Headquarters in 2013. It is pertinent to also note that he was never a Director of procurement in Army Headquarters as alleged. As a matter of fact, the Nigerian Army never had a Directorate of Procurement till when he established one last year when he became Chief of Army Staff. “In a bid to rubbish the hard earned reputation and good name of the Chief of Army Staff, these blackmailers will stop at nothing hence all these kinds of mudslinging. “It is really worrisome that some people could condescend so low to fabricate baseless allegation against the Chief of Army Staff for reasons that could best be described as mischievous. It is equally worrisome that Sahara Reporters could lend space for this obvious mischief. We really do not believe that it is because the price is right. “Consequently, the public and indeed all well-meaning persons should disregard this round of campaign of calumny against the Chief of Army Staff and similar ones because they are baseless and unfounded. “For the unscrupulous elements and their cohorts, these campaigns would prod the Nigerian Army and indeed the Chief of Army Staff to continue to serve the nation diligently and with utmost zeal”. Sahara Reporters - Nigeria’s Chief of Army Staff (COAS), General Tukur Buratai, and his two wives are joint owners of a Dubai property that was paid for in one transaction. Investigations by SaharaReporters indicated that the money for the purchase of the property may have come from a vehicle contract scam while Mr. Buratai was the Director of Procurement at the Army HQ. 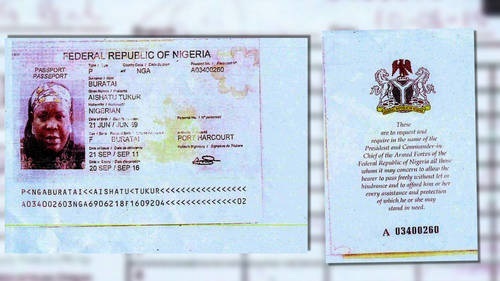 Our correspondents discovered that the Nigerian Army had awarded an apparently bogus contract for the supply of vehicles and motorcycles for the use of troops involved in an anti-terrorism offensive in Nigeria’s beleaguered northeastern zone.